Rather than persuading the youth of the nation to attend college, we are seeking to inspire and encourage their parents to complete a college degree. Degree Solutions, http://www.degreesolutions.com, makes the education of parents the focus of its college attainment campaign, unlike many statewide campaigns that target individuals between the ages of 25-34. A recent study by the National Center for Education Statistics found a significant correlation between the education level of parents and their children. Because it has become clear that children whose parents’ have completed a college degree are more likely to graduate from college themselves, Degree Solutions believes that encouraging parents to obtain a college degree is essential. The Department of Education projected in 2011 that the proportion of college graduates needs to increase by 60 percent nationwide, thus requiring a significant contribution from each state. This has led a number of states to establish statewide college attainment goals, primarily targeting the youth in the nation. Degree Solutions, whose website launched in early December, offers potential students a number of resources to assist them in their pursuit of a college degree. Degrees in Demand is a job growth database that contains information on hundreds of different careers, detailing the level of education required for each occupation and the growth potential projected by BLS.gov. Potential students are able to search for colleges that offer their degree of choice and request information from a number of different schools directly on Degree Solutions’ website. Additionally, Degree Solutions offers a Career Success Kit, complete with a free resume check and a guide for growing industries, containing detailed information on various industries and locations with strong growth. For more information regarding Degree Solutions’ college attainment campaign, please visit DegreeSolutions.com. Degree Solutions, (http://www.degreesolutions.com) is a web band of High Intent Marketing, a division of PMA Media Group, Inc. Since 2005, High Intent Marketing has provided college degree opportunities to more than 1 million education seekers. High Intent Marketing uses television, radio, desktop and mobile media to attract students to over 50 higher education clients that span selective liberal arts colleges to proprietary colleges and universities. The High Intent Marketing team is a collection of educating marketing veterans who are passionate about education. “Education is the most powerful weapon which you can use to change the world.” - Nelson Mandela. For more information, please visit http://www.degreesolutions.com. 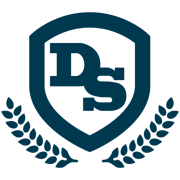 Twitter: @DegreeSolutions; Facebook: Degree Solutions.